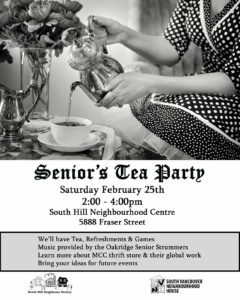 Come & join neighbours for a Senior’s Tea at South Hill Neighbourhood Centre. Bring along a neighbour who is 65+ , sip tea, enjoy entertainment & play games that help us get to know one another. We’ll honour and learn from the elders in our community. Come join new friends as we gather to watch a segment from Inside Stories and then use that as a springboard for discussion and sharing our own stories. What’s it like communicating in a second language, putting down roots in a community; figuring out cross cultural experiences? People from all different cultural backgrounds are welcome. Whether you have lived all your life in Vancouver or only a few weeks – let’s meet ! Contact susanff@gmail.com. We invite you to join us on the last Thursday of the month (September, October & November) to have some thoughtful discussions about the books you are reading or wanting to read. At the first meeting we will develop the structure that would best meet the needs of the group. 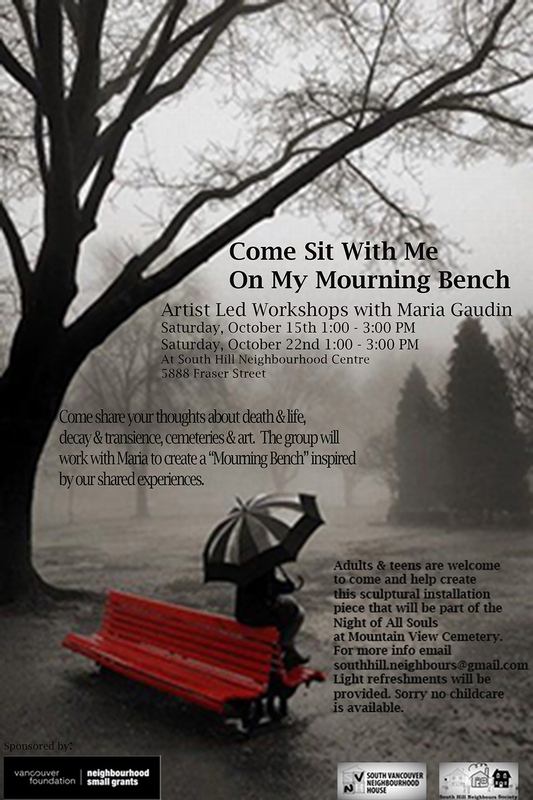 Come meet your neighbours and share inspiring stories. Please bring a mug for tea. For more information please email: southhillreaders@gmail.com or call 604.736.4485. We hope to see you there. Bring the whole family and move together. See old friends; meet new friends. The dancing will be led by several different dance teachers. We’ll travel the globe learning dances from various cultures. Get up, move & laugh as we dance to music from different decades and cultures. You don’t need a partner, just show up and join in. Food, friends and music – come and join the fun.